In every military there is a huge amount of terms, acronyms, phrases, and words that are unrecognizable to the non-military members of society. To a newly deployed member of the military assigned to Afghanistan - the slang, abbreviations, and definitions used in theater can be perplexing as well. It takes a while to learn the lingo. 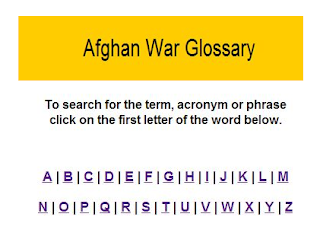 For instance many newcomers confuse the terms Afghan and Afghani. 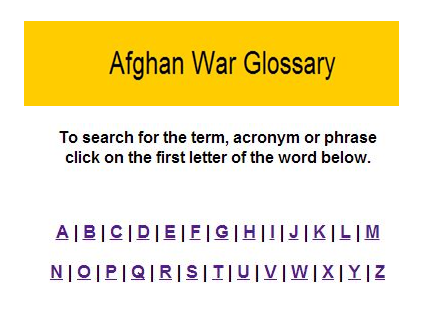 To help out Afghan War News has compiled an online glossary.